Well, I think that it’s actually the case that the growth is more due to folks having multiple phones with multiple carriers that real penetration and we’ll see something of a leveling off over the next year. I wrote a bit about that as well as other things since I find the constant attention solely on Africa’s mobile growth to be ignoring the other elephants in the room. That being said, I’m glad you’ve pointed out some of the other sides to the constant attention given only to these stats. 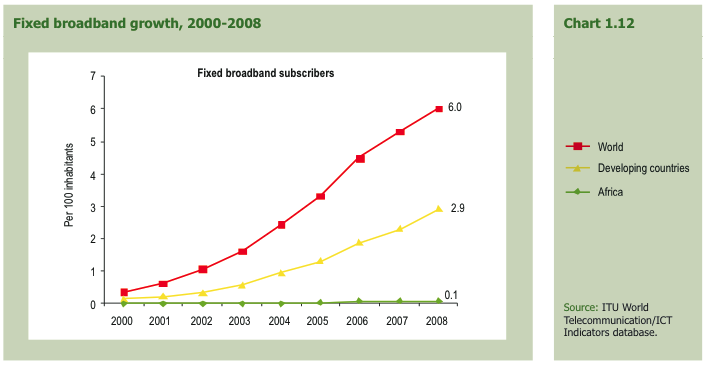 Africa is so far behind in ICT infrastructure that growth statistics are really just feel-good numbers. Highly useful for sure, particularly for calculating trends, but its revelancy becomes clearer when you drill down into specifics of an individual country’s infra. We’re going to see such headlines for years to come, but growth stats sadly translate into Africa playing catch-up with the rest of the world. Valuable information Hash. Thanks for posting it. Africa’s main problem is that it is generally sparsely populated and a good number of those populations barely have the resources to acquire these technologies. 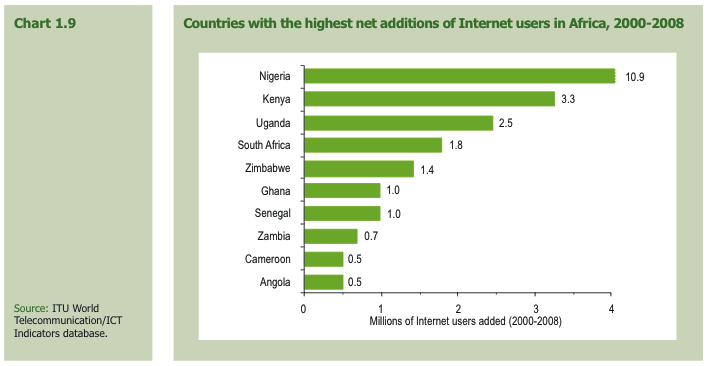 Unless African governments integrate ICT’s firmly into their social policies as is the case in Kenya and Rwanda it remains to be seen whether this growth will have an impact on the masses in a way that would be helpful. Nevertheless we should continue to celebrate these statistics. 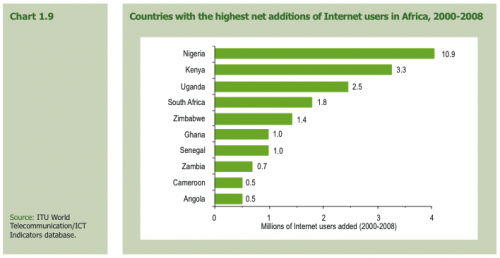 Very good news for Web and Mobile Technology developers in Africa. 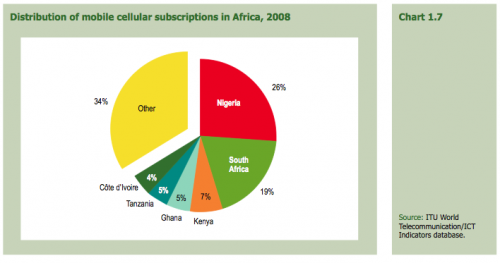 Thanks for this excellent piece on Mobile in Africa. Thanks for this. 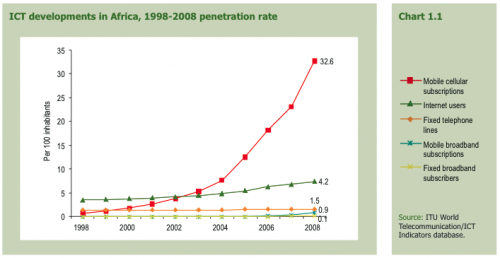 Excellent review on the web and mobile space in Africa. What will be interesting is the entry/buyouts of mobile networks as the global payers start tatking this markets seriously. 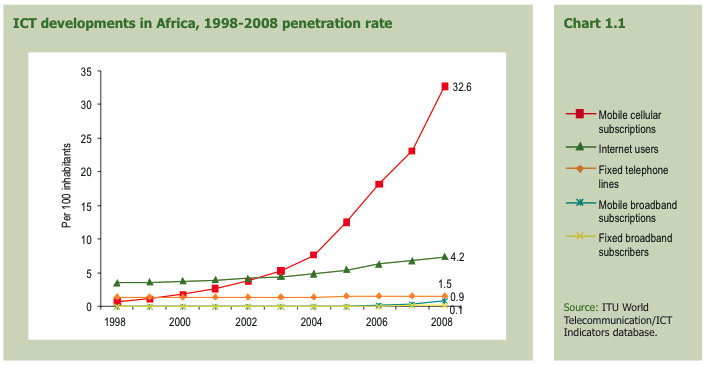 The number of mobile device/phone makers setting up company offices in Africa is increasing. The World Cup will also be a factor. 2010 is going to be good – again. Interesting to see these updated statistics. 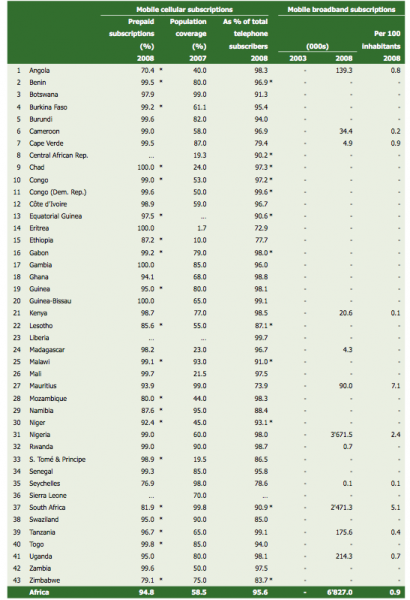 It is also interesting the way Nigeria stands out in terms of the sheer numbers. 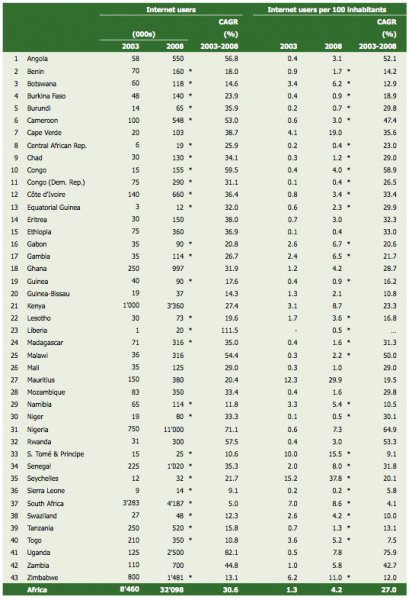 The per capita indicators aside, The statistics should point at the need to more seriously pursue regional economic integration initiatives such as the East African Community, SADC etc. That should make increasing business sense for investors in the industry. Are we really growing or are all this a mirage? Using an SMS to fight human trafficking in Southern Africa « Stop Human Trafficking in Southern Africa!